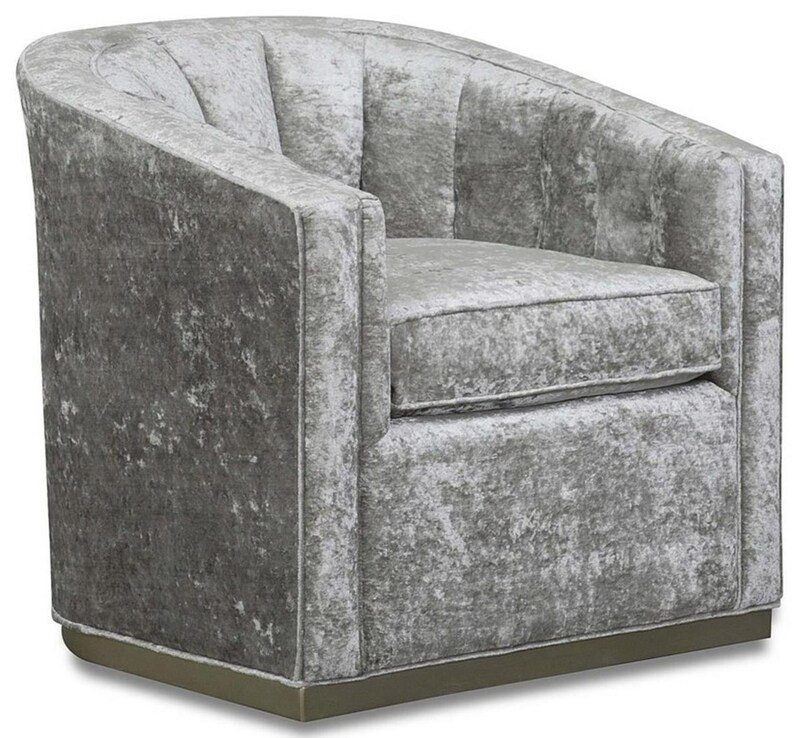 Relax the night away as you read a book or watch TV from this elegantly plush Alyssa Swivel Chair. Sleek, rounded track arms give this piece the ideal contemporary look. The luxurious upholstery and swivel base completes the look for added comfort that wont go understated in your home. The Upholstery Alyssa Swivel Accent Chair by Aria Designs at Great American Home Store in the Memphis, TN, Southaven, MS area. Product availability may vary. Contact us for the most current availability on this product. Padding & Ergonomics Seat cushions and throw pillows feature feather/fiber blend. seat cushions also feature Marshall pocket coil cushion construction with Fiber Wrap. The mission of Aria Designs is to bring you hand crafted furniture made by talented artisans that once could only be found in small boutiques. Through dedication to this mission, Aria Designs has brought value and quality to the consumer. The Upholstery collection is a great option if you are looking for Glam Casegoods and Upholstery in the Memphis, TN, Southaven, MS area. Browse other items in the Upholstery collection from Great American Home Store in the Memphis, TN, Southaven, MS area.